First Edition. Signed on the title page by Ally Condie and Brendan Reichs. 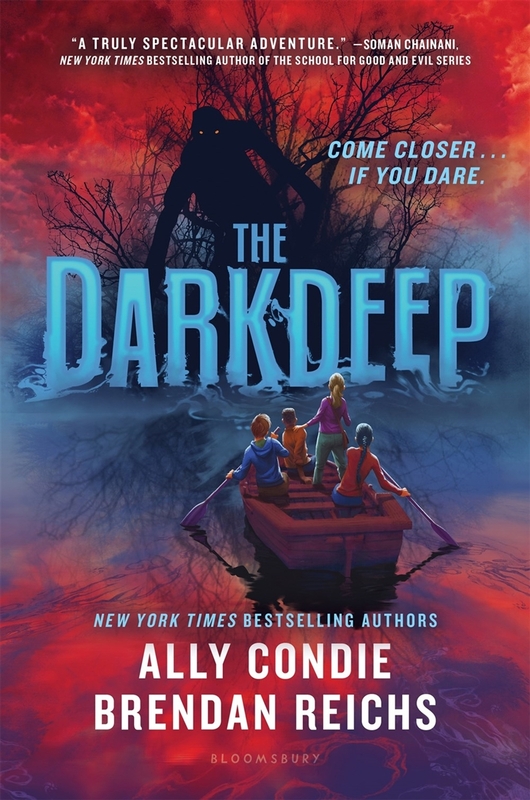 NYT bestselling powerhouses Ally Condie and Brendan Reichs pen a new suspenseful Middle Grade series that's Stranger Things meets The Goonies. When a bullying incident sends twelve-year-old Nico over a cliff and into Still Cove, where no one ever goes, friends Tyler and Ella—and even “cool kid” Opal—rush to his rescue…only to discover an island hidden in the swirling mists below. Shrouded by dense foliage and protected by dangerous tides, the eerie island is far from paradise. The kids’ unease grows when they find an abandoned houseboat filled with strange weapons, maps to unknown places, and a glass jar containing something entirely unidentifiable. As the group delves deeper into the unknown, their discoveries—and their lives—intertwine in very personal, threatening ways. Told from Nico’s and Opal’s points of view, this exciting new series grapples with the shadowy things that lurk in the human heart—and what it takes to overcome them.